$40 Billion in 23 years! The biggest business in the field of biotechnology seems to have come to an end. The Food and Drug Administration (FDA) has authorized a pharmacological alternative to Epoetin, by Amgen (acronim of Applied Molecular Genetics), with the indication of increasing haematocrit in two clinical settings: chronic anaemia in patients requiring dialysis; and iatrogenic anaemia caused by cancer chemotherapy. A new drug has been developed by the more modest biotechnology company, Affymax, which mimics Epoetin’s mechanism of action. However, the differences between the two drugs are significant enough to not violate the laws protecting the patents which may possibly defend Amgen’s most profitable product. 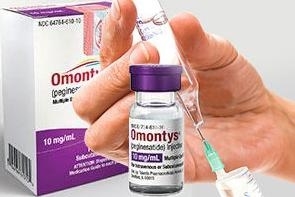 The new drug, Omontys®, is a new formulation of Peginesatide. The researcher and marketer, Affymax, in a joint venture with the Japanese pharmaceutical company Takeda Pharmaceuticals, has reported that the commercialization of Omontys® will significantly reduce the costs of dialysis. It is well known that dialysis is a major economic burden to both the public and private Health Systems. Amgen has had the monopoly on the marketing of Epoetin since the late 1980s. The profits gained from Epogen® (tradename of Epoetin in the U.S.) decreased from $ 2.5 billion in 2010, to 2 billion in 2011. One of the ploys Amgen has used to exclude Affymax from this lucrative market was to sign agreements with the two largest Consortia, which collectively serve two-thirds of the patients who require dialysis in the U.S. The dialysis technique was developed during World War II by a rural Dutch physician, Willem Jacok Kolff (1), who died recently. Along with another Dialysis Chain, DaVita, Amgen agreed to cover at least 90% of the need for Epoetin until at least 2018; and with Fresenius, a fourth Dialysis Provider, Amgen signed a non-exclusive three-year agreement. John A. Orwin, Chief Executive Officer of Affymax, a company based in Palo Alto, California, said that despite the agreements signed by Amgen, there is still a market available to them for dialysis on a more moderate scale. Affymax has partnered with the Japanese multinational Takeda Pharmaceuticals, to market Omontys®. The first commercially available recombinant human Epoetin (Eprex®) was administered three times a week. Modified versions (Darbepoetin and CERA) allow a more spaced out administration; once a week (Darbepoetin), or even once a month (CERA). Omontys® has been formulated so that only one monthly dose is necessary. Scientists at Amgen cloned the gene that provides the code for human erythropoietin, and developed a recombinant version of the hormone, Epoetin, which they synthesized in culture cells of hamster ovaries. This scientific progress allowed ​​Amgen to become the world's largest biotech company. Since Epogen®’s approval in the United States, in 1989, Amgen has made more than 37 billion dollars. Johnson & Johnson, following agreements with Amgen, sold the same drug under the name of Procrit®, for other indications. The estimated sales of Aranesp® (Darbepoetin), according to Amgen, will reach 26 billion dollars. Over the years, Amgen has defended its patent rights against Genetics Institute, Transkaryotic Therapies, and Roche. In the U.S., Amgen divided their momentous discovery into several patents, the first of which expired in 2004, while the other patents will remain in effect until 2015; well over the 20 years permitted by the Patent Act. However, in Europe, a single patent was approved, which expired a few years ago. Since then, Amgen has filed lawsuits against various modified versions of Epoetin catalogued as bio-similar. Unlike versions against which Amgen has filed various lawsuits, Omontys®, by Affymax / Takeda, is not a modified version of Epoetin, obtained from culture cells. Omontys® (Peginesatide) consists of two peptides obtained by chemical synthesis, without homology,to the amino-acid sequence (primary structure) of erythropoietin. Problems detected to Peginesatida (Omontys®) appear to be similar to those observed in other drugs of the same therapeutic class. Thus, in the criteria of "non-inferiority", Omontys® received a favourable rating (15 votes against 1 abstention) by the Advisory Committee. The final decision of the Food and Drug Administration (FDA) is based on the recommendations of the Expert Committees. Peginesatide is also registered as Hematide® (2). Two Phase III clinical trials, called EMERALD1 and EMERALD2, have been completed. The EMERALD1 (3) clinical study, technically named AFX01 -12 A Phase 3, Randomized, Active -controlled, Open -label, Multi -centre Study of the Safety and Efficacy of Hematide® for the Maintenance Treatment of Anaemia in Haemodialysis Patients Previously Treated With Epoetin Alfa (EMERALD 1), launched in September 2007, included 803 patients. This trial was performed on patients over 18 years of age randomly placed into two groups which would be treated with Hematide® and Epoetin-α, respectively. The EMERALD2 (4), technically AFX- 01-014 A Phase 3 , Randomized, Active -controlled, Open -label , Multi -centre Study of the Safety and Efficacy of Hematide® for the Maintenance Treatment of Anemia in Hemodialysis Patients Previously Treated With Epoetin (study EMERALD 2) began in October 2007 , and included 823 patients over 18 years of age. In both studies, the primary end point was the change in haemoglobin in blood during the study period. [Haemoglobin ranged: 10g/dL ↔ 12g/dl]. Although the final results have yet to be published, the preliminary results indicate that Hematide® meets the criteria for "non-inferiority" in relation to Epoetin - α. Another important indication for Hematide® (or Omontys®) is the treatment of aplastic anaemia, as the anti-epoetin antibodies do not cross-react with Peginesatida. We are facing a new erythropoietic drug which, unlike the several versions of Recombinant Epoetin, is obtained by chemical synthesis, as stated previously. Like Epoetin, Omontys® is a receptor agonist for erythropoietin (r- HuEPO) activating both cellular signalling routes: protein- quinasa5 JAK2 and STAT5. Some of the limitations of protein-based therapeutics can be by-passed with Hematide® (Omontys®): the manufacturing process is cheaper because Omontys® is obtained through a chemical synthesis rather than from cell cultures. Moreover, Omontys® no needs refrigeration, and has a minimal immunogenicity. One monthly administration seems to be the most suitable in order to maintain a plasma hemoglobin concentration within the physiological range [10g/dL ↔ 12g/dl]. The possibility of any adverse effect of very low incidence can only be observed during phase IV clinical trials. This was observed in other erythropoiesis stimulating agents, where the first case reports of aplastic anaemia occurred during the post- marketing period (Phase IV studies) due to its very low incidence; approximately 1 in 10,000. Besides Hematide® (Omontys®), there are other erythropoiesis-stimulating agents in various stages of development: Epoetin - δ (Dynepo®), produced in a human fibrosarcoma cell line, was approved in Europe in 2007, but not in the U.S.
Other molecules in very preliminary stages of research include: "inhibitors propyl hydrolase" FG2216 and FG4592 (both FibroGen Inc / Astellas Pharma Inc) – now in phase II clinical trials - ; "GATA inhibitor " and " inhibitor phosphatase of hematopoietic cells”. 2. Macdougall IC. Hematide. A novel peptide-based erythropoiesis-stimulating agent for the treatment of anemia. Curr Opin Investig Drugs 2008; 9: 134–47. 3. Hematide™ Injection for Anemia in Chronic Hemodyalisis HD Patients [consult: November 2013]. Available in: http://www.clinicaltrials.gov/ct2/show/NCT00597753?term=Hematide+EMERALD1&rank=1. 4. Hematide™ Injection for Anemia in Chronic Hemodyalisis HD Patients [consult: November 2103]. http://www.clinicaltrials.gov/ct2/results?term=Hematide+EMERALD2. 5. López-Tricas, JM. Proteína-quinasas [consult: November 2013]. 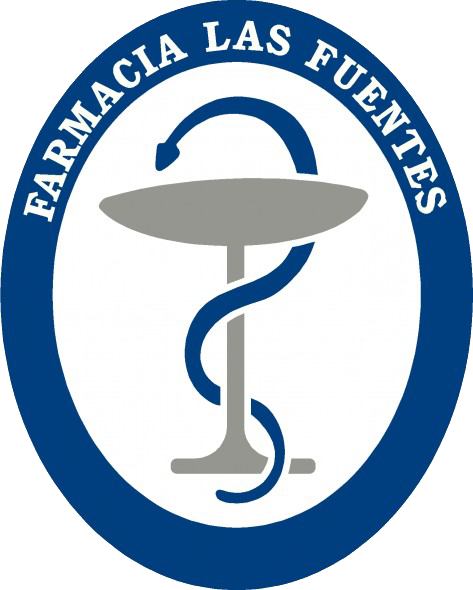 Available in: www.info-farmacia.com.